SPECTACULAR!! This 2 bedroom condo features BRAND NEW, top of the line, well EVERYTHING!! 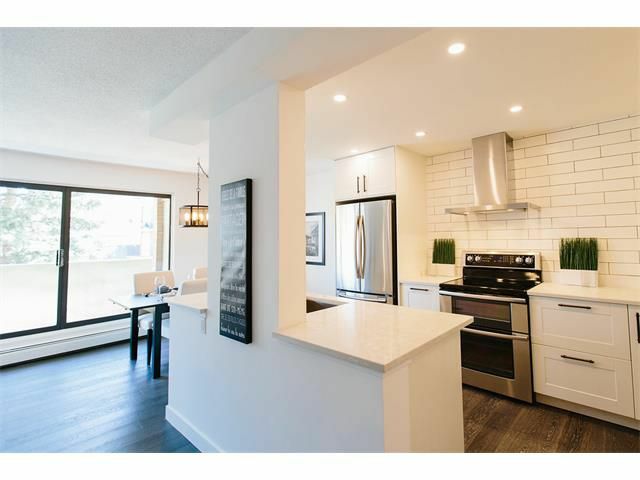 QUARTZ countertops, STAINLESS STEEL appliances (including a double oven and a wine fridge) beautiful, wire brushed HARDWOOD flooring, a full WASHER and DRYER AND UNDERGROUND PARKING! Your friends and family will LOVE this AMAZING OPEN FLOOR PLAN, great kitchen, PERFECT for entertaining! ALL of this AND a HUGE BALCONY, that walks out from the Master Bedroom AND the living room, perfect for a summer BBQ party! Pets OK with Board Approval!! Located within blocks of 17th ave, Restaurants, Boutique shops, Diners, Pubs, Downtown and the CTrain! And with Car-To-Go stops all around you, you can park your car and enjoy Inner City living in your brand new, no one has used anything, spectacular condo!! Oh and did I mention the 1 YEAR LABOR WARRANTY and that the condo fees are only $440 and include Electricity?!! Call your favourite Realtor to view!